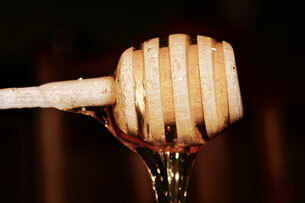 Honey is a natural sweetener, and it's the result of the processing of the nectar made by the bees. It is the oldest sweetener in the world, drawn in cave paintings and mentioned in literature since ancient times. Honey is essentially composed of sugars (mainly glucose and fructose) and other substances such as organic acids and enzymes. 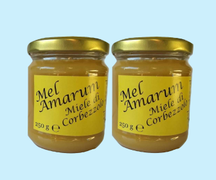 Because of its composition, it is a unique food with a high energy power: 100 g of honey provide around 300 kcal. The colour can vary from colorless to dark brown, depending on the botanical origin and the level of crystallization. The consistency can be fluid, thick or crystallized. The flavor and aroma, as well as the fragrance, may vary a lot, according to the flower of origin. 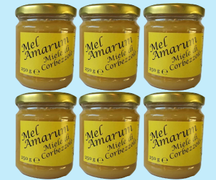 The honey must have a percentage of water lower than 18%, otherwise it tends to ferment, and becomes no longer edible. 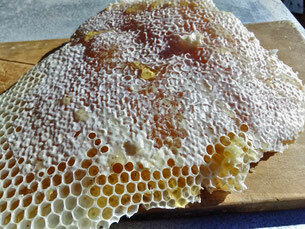 If kept in a cool, dry place, honey remains edible for a very long period of time and does not have an expiration date. You might have heard that some honey jars have been found in ancient Egyptian tombs, the honey inside them was perfectly preserved and was still edible, even after thousands of years! A distinctive characteristic of raw honey is its natural process of crystallization, that originates from the formation of monohydrate glucose crystals, whose quantity, shape and disposition may vary. In fact, being the honey oversaturated with sugars, it naturally expels the excessive solute, in order to reach a condition of stability. This process is mainly due to the concentration of glucose, a sugar less soluble in water than fructose. Depending on the floral origin, the crystallization takes place with different timing and characteristics. If you prefer honey in a liquid state, you should heat it (preferably through bain-marie) for several minutes up to 40°C (104°F), in order to maintain all of its nutritional properties. Honey bees are insects of the Apidae family. 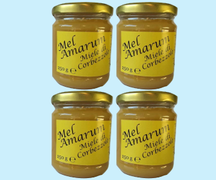 The European honey bee (Apis mellifera), is the most widespread species of bees in the world. 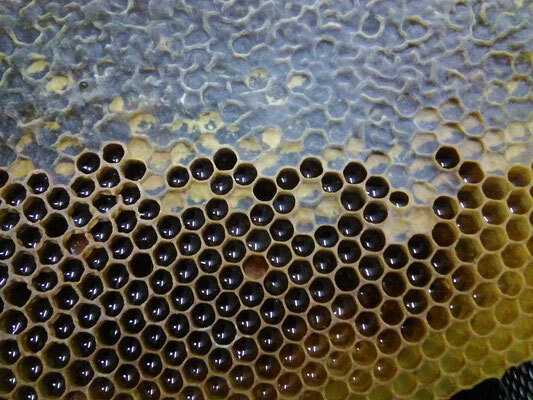 Honey bees live in the hive and are part of a matriarchal society, in which the queen is the only fertile female, and has the task of laying eggs. 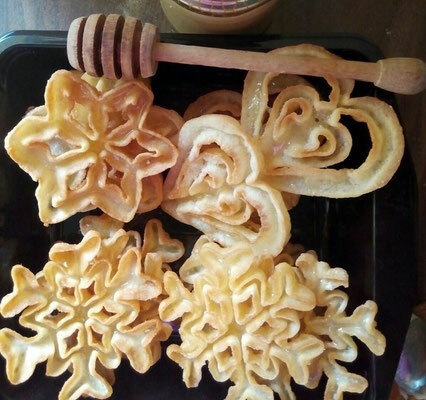 Instead, worker bees deal with various activities ranging from collecting nectar and pollen, cleaning and defending the hive, to making wax and building honeycombs. Male bees (drones) do not have a stinger, their only task is the fertilization of the queen and die after mating. To produce honey, forager and scout bees leave the hive and go in search of flowers (flying for around 3 km from the beehive), from which they collect nectar and pollen. The nectar is delivered to the other bees, who, passing it to one another, reduce the moisture content in it, thus turning the nectar into honey. 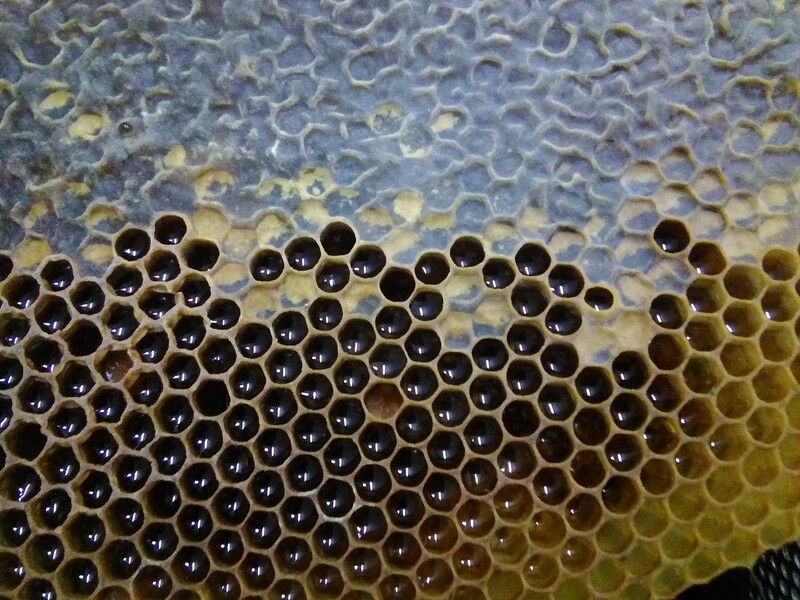 Thereafter, they pin it inside of the hexagonal cells. Through the movement of the wings, bees maintain the right temperature and reduce the humidity inside the hive. 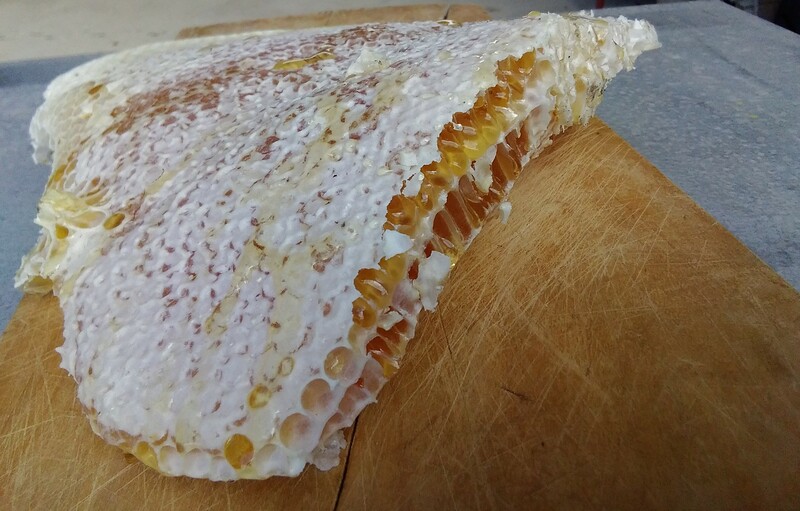 When the honey is ready (so it has a moisture content lower than 18%) the honeycombs are sealed with wax, in order to keep the product at the right temperature and away from moisture. 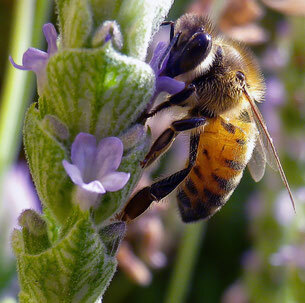 Bees play a fundamental role in pollination. Over 1/3 of the food we eat depends on their work. If there were no bees we would not have apples, almonds, tomatoes, coffee etc. The bees die from various causes, including pollution and the use of pesticides and insecticides. In recent years, the number of bees significantly declined, and this threatens the survival not only of this species, but also of an important part of the world's flora. 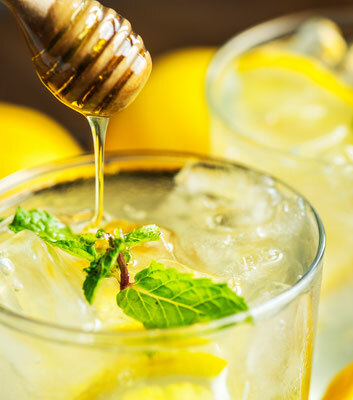 Honey has been used for thousands of years to sweeten foods and beverages. Before the introduction of sugar, it was the only sweetener to be known. As it is primarily composed of simple sugars, it is easy to digest. In fact, the high amounts of glucose directly enter the bloodstream and are immediately used by the organism. This product is therefore particularly suitable for athletes and anyone in need of immediate energy, before or after physical or mental activities. 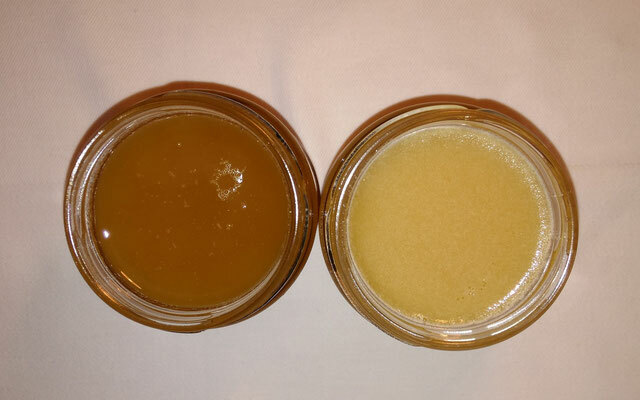 Honey also shows importnat antibacterial and antibiotic properties. 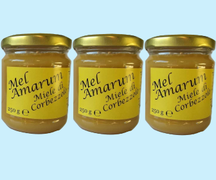 Being low in sucrose, honey is very well digested by the body, and is therefore suitable for those suffering from digestive disorders. It is also particularly effective in reducing flu symptoms. 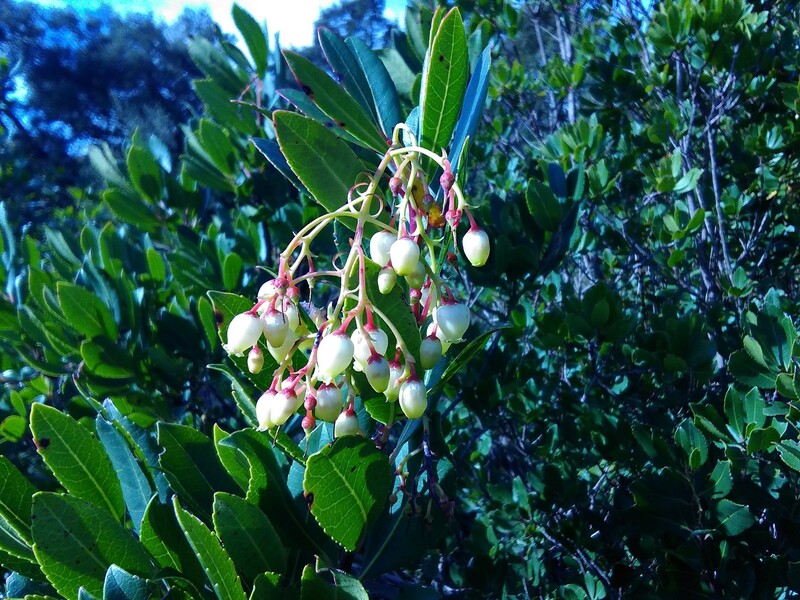 In some countries, it is used as an adjuvant in the healing of wounds and burns and, according to several studies, it is effective in fighting internal infections. It is also a great ally of beauty, effective in skin and hair care: you can use it to prepare many types of creams and masks. 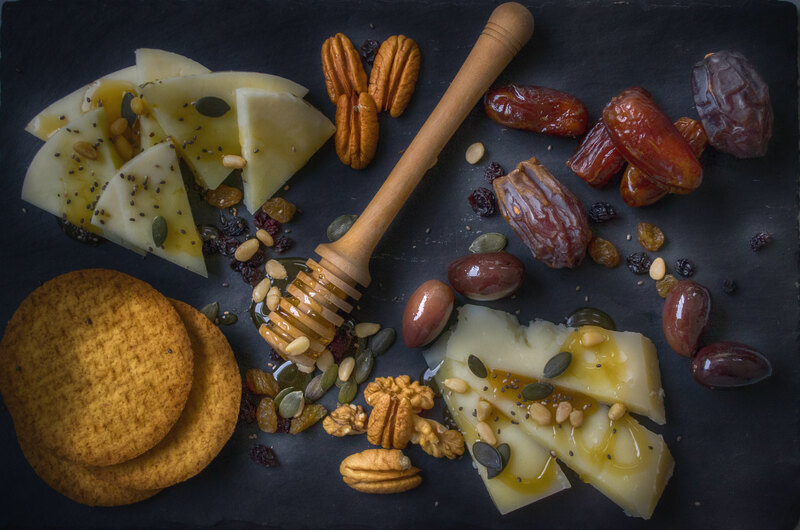 Depending on the botanical origin of the honey, this incredible food may have different therapeutic properties. You can add a tablespoon of honey to milk or tea for your breakfast, make tasty recipes with it and use it as a substitute for sugar. It is advised not to give honey to children under two years of age, while diabetics should limit its use.